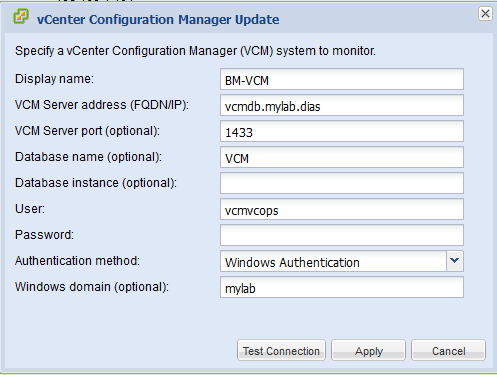 You may notice that the vC Ops Admin UI (aka the VAMI) includes a registration option for VCM in 5.6. This enables some really great integration between vC Ops and VCM, chiefly, compliance badge (part of the Risk badge family) and exposure of VCM machine groups for custom grouping. For whatever reason, getting this set up is slightly challenging and to save time and frustration I thought I'd provide a couple of helpful tips.